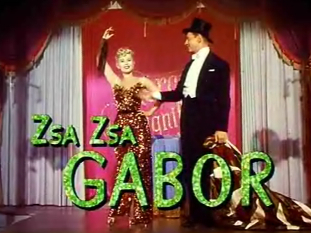 Zsa Zsa Gabor (apparently Gábor Zsazsa in her native Hungary), who married one husband for every decade she lived (i.e., 9), has passed away at the age of 99. Of course she started marrying husbands after she was of legal age, so some of them had to double up. The reason I mention her husbands rather than some other of her achievements is that, whenever her name came up during her prime, her multitudinous marriages (and divorces) came up too, usually first. It seemed to be her claim to fame. Here is a list of all those husbands with photos. She did seem to be a pioneer in the now popular state of 'being famous for being famous.' In fact, Paris Hilton, one of the most famous persons famous for being famous is Zsa Zsa's step-great-granddaughter by way of her 2nd husband, Conrad Hilton. 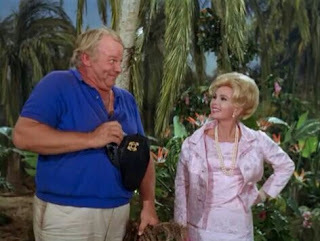 But Ms. Gabor had some other achievements under her diamond-encrusted belt. She was a movie and TV actress, appearing in Gilligan's Island and Batman (my two favorite roles! ), and was the lead actress in Moulin Rouge in 1952, for which she got decent reviews. She was also in Orson Welles’ Touch of Evil and the great and awe-inspiring Queen of Outer Space, which no one should finish their life without seeing. She was also Miss Hungary in 1936, but unfortunately too young (19) to go on and compete for Miss Europe. In 1989 she slapped a Beverly Hills policemen for giving her a ticket, and had to serve 3 days in jail for it. Zsa Zsa had declared her intention to return to Hungary for her 100th birthday (which would have been this February 6th) and spend her final days there. It's sad that she didn't quite make it.